With five centres in Hokowhitu and Terrace End we occasionally have vacancies for qualified teachers or those prepared to enter a training programme with one of the tertiary institutions such as NZ Tertiary College, Massey University, NZ Childcare Association, or Open Polytech. An effective support system from management that has early childhood qualifications and believes in on-going professional development for all staff.We are not part of a large corporation but a family owned and operated company. We have an exciting and rare opportunity for an experienced Head Teacher to lead our Infant and Toddler centre. Does this capture you? Our vision statement â€˜What is in the best interest of the child?â€™ drives our every action for all tamariki. We have a well established framework in supporting you to be the Best Head Teacher and Leader you can be. An inspirational, natural and nature focused quality teaching environment. We are all about quality educational outcomes for tamariki as evident in our achievement of â€˜Very Well Placedâ€™ ERO reviews for all of our centres. Further to this, from a business perspective, we were recently awarded the Supreme Business Award at the Westpac Manawatu Business Awards, providing us with recognisable status and accolades as quality education within a business world. A Head Teacher kete that contains proven ability in leading teams. The desire in leading a well established professional and capable team of kaiako in achieving educational success for tamariki. A focused approach to the establishing and maintaining of relationships with all -â€“ tamariki, parents and whÄnau, kaiako, the wider Tui community. ECE qualified with a Full Practising Certificate. Is committed to consistent engagement in Professional Learning Development (PLD) and in extending on your leadership journey. Being able to â€˜walk the talkâ€™ in demonstrating and practicing Care as Curriculum with our infants and toddlers. Understands that engagement and nurtured relationships within our setting are paramount. Able to demonstrate strong, up-to-date pedagogical knowledge across the curriculum. A sound knowledge and ability of ece documentation. This includes Te WhÄriki (2017); Internal Evaluation through to assessment and planning. Be willing, responsive and â€˜open to changeâ€™ in working within the Tui Philosophy, Guiding Document and established polices, practices and procedures. If we have captured your attention and this is the position that you have been waiting for, we invite you to apply. 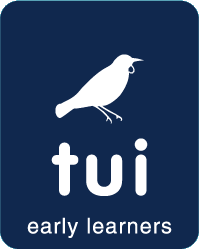 Please email deborah@tuiearlylearners.co.nz or phone Deborah on 021 916 366 expressing your interest/or any questions. We can also arrange for you to visit the centre to show just how we â€˜walk the talkâ€™. We are looking for qualified kaiako to join our new centre in Lytton St in Feilding. The ideal candidates know how to balance laughter with professionalism, are passionate towards enhancing childrenâ€™s view of the world and understand that engagement and nurtured relationships within our setting are paramount. It is important that you are respectful in promoting whakamana to our tamariki, are enthusiastic, friendly, approachable, confident in thinking with vigour and creativity, can demonstrate initiative and flexibility, are a great communicator and confident in documentation. A driverâ€™s licence is not essential but would be helpful as you may be involved in our Nature Explorers Programme which is offsite. These roles are full time registered teaching positions working alongside our other highly motivated teams who achieved Very Well Placed ERO reviews recently. We will also have a position for a student wishing to train or in training to become a qualified ECE teacher. Please also contact us if you are interested in being a relief teacher aide, no training required! Please send your CV to deborah@tuiearlylearners.co.nz by Friday 15th February 2019.